This gathering was a long time coming! Adam first contacted me back in the spring for a family reunion planned around the Iowa State Fair. Plenty of time to get on my calendar! As members of his group hopped out of their respective vehicles, I knew it was going to be an awesome shoot. Especially when I noticed that Adam's wife, Erica, was wearing a necklace that I own as well! Adam and Erica have twins, Nolan and Reece who were absolutely adorable. And Adam's sister, Molly and her husband Brandon, have Jackson and Aiden. Throw a puppy in there owned by Uncle Zach and the gang is completed with Papa and Nana! 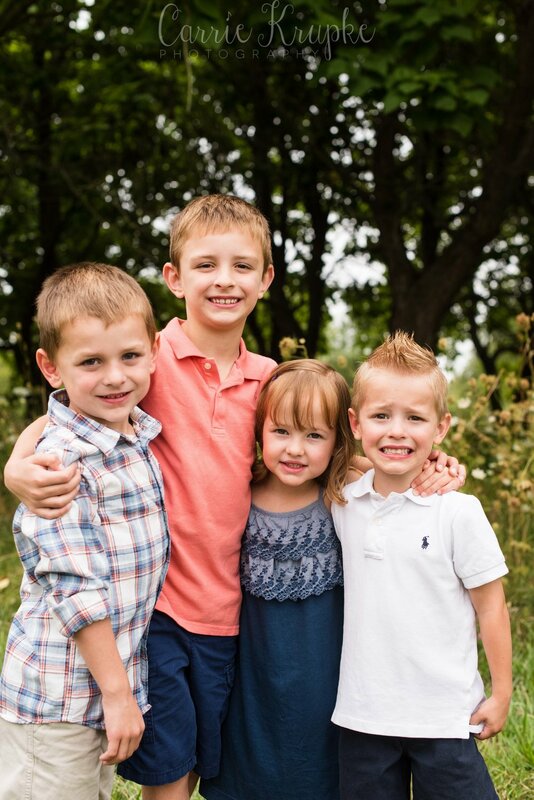 We broke down the largest family grouping and captured a few of the cousins-what fun memories of family photos and going to the Fair together! Thanks so much for having me out to photograph your sweet family at this stage of your lives! I hope you had a wonderful time at the Fair and a blessed time together as a family. Enjoy!